Address: ul. 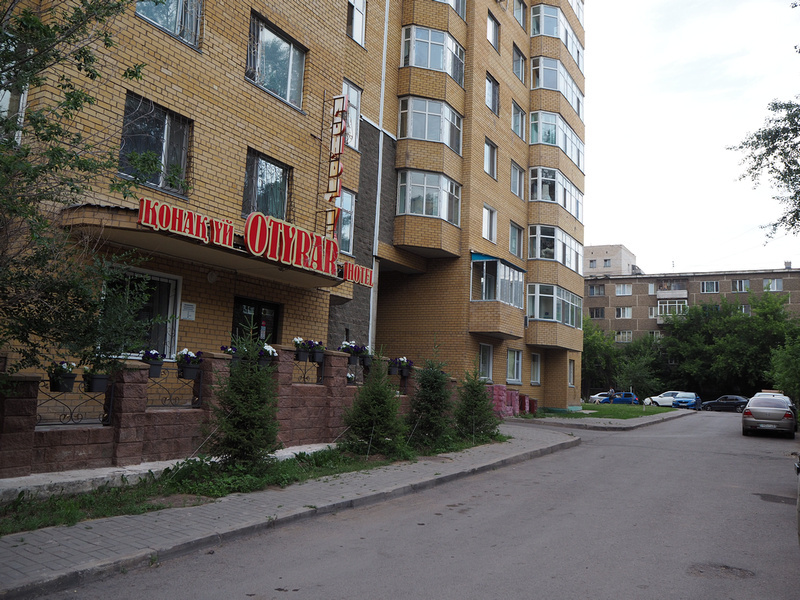 Otyrar 10, Astana, Kazakhstan. I stayed at the Otyrar Hotel in Astana, Kazakhstan. I booked on online and picked it for its location and price. The rate was 9,000 KZT per night ($26 USD) for a private room and bathroom. For the location I couldn’t tell where would be the best place to stay, but in the end it turned out to be a good spot. Astana is spread out over vast distances, like the Great Steppe it’s located on. Knowing that, there is not really anywhere that is walkable to the main sights, as the main sights are so spread out. 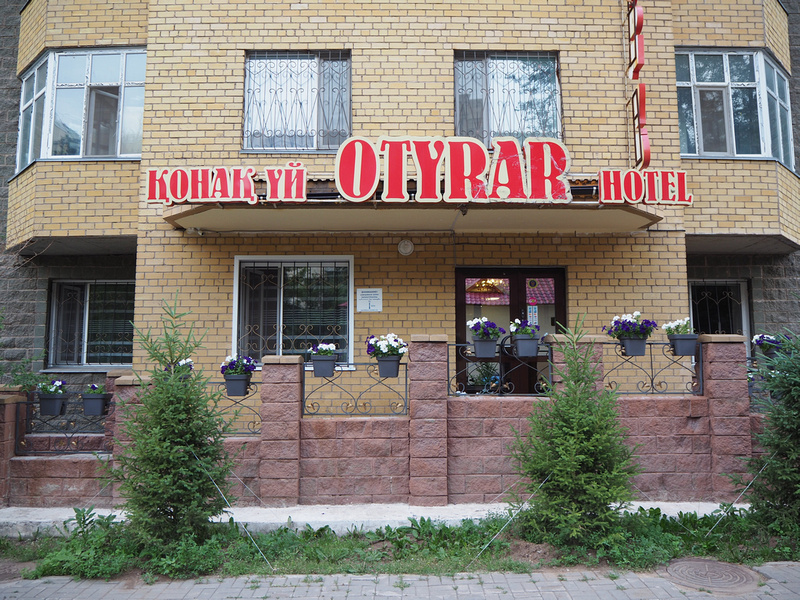 The Otyrar Hotel is in the old part of the city, which is a better area to stay if you want to feel like you are staying somewhere that is lived in. The new city is still developing on the other side of the river, though most of the big-name hotels are there. The hotel is at the base of an old apartment block in a residential area. Don’t let the surrounding Soviet-era buildings put you off though, as inside it looks like it’s newly renovated. I had a comfortable double bed and it was a bright and spacious room with a big window. The table, chair, and TV set. As with my place in Almaty, my room was well-equipped to handle the brutal Kazakh winters, but not so much for hot summers. No A/C or ceiling fans here, so this little fan was running to keep the air moving. 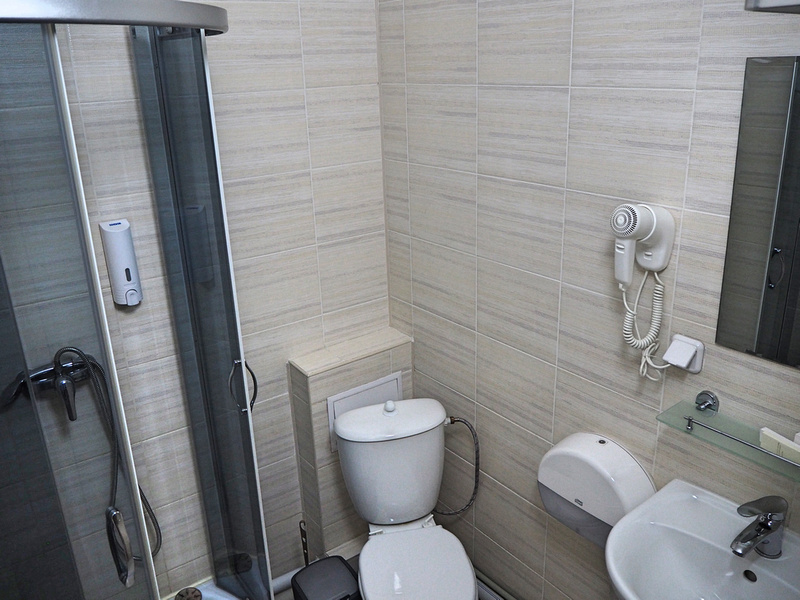 A good clean, modern bathroom. 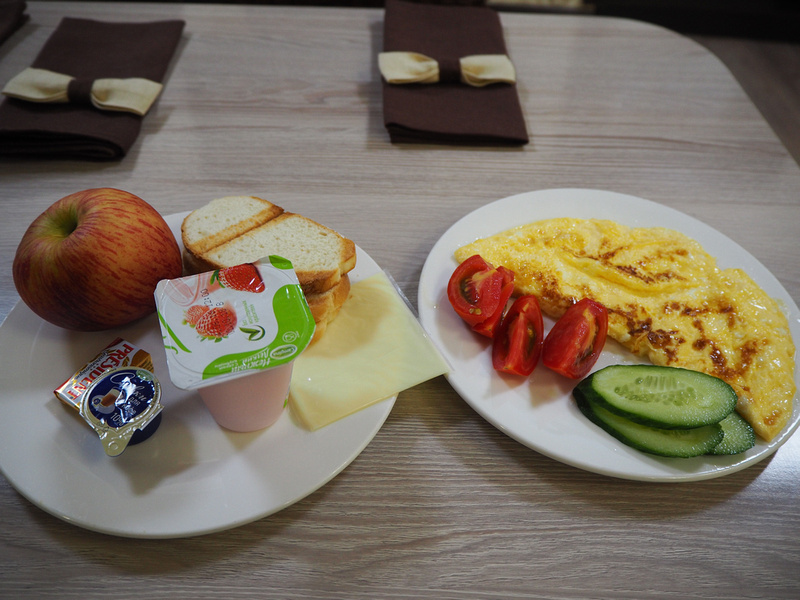 Breakfast is included in the stay, and you will be asked the day before to pick a cooked meal option. This was a hearty good start to the day. There is free wifi throughout the hotel, and I had no issues with the connection while I was there. I had a full day in Astana as part of my stopover deal with Air Astana. I ended up spending a whole day walking around, and I walked from the hotel. It took about 45 minutes to walk to the start of the monuments of the new city. If you’re not a mad walker then Uber is also available, so you could get a ride to the start of the new area. Nearby the hotel are supermarkets and fast food shops. It was far more lively than the new area, which seemed lacking in places to eat. Overall this was a great budget hotel to stay at in Astana. 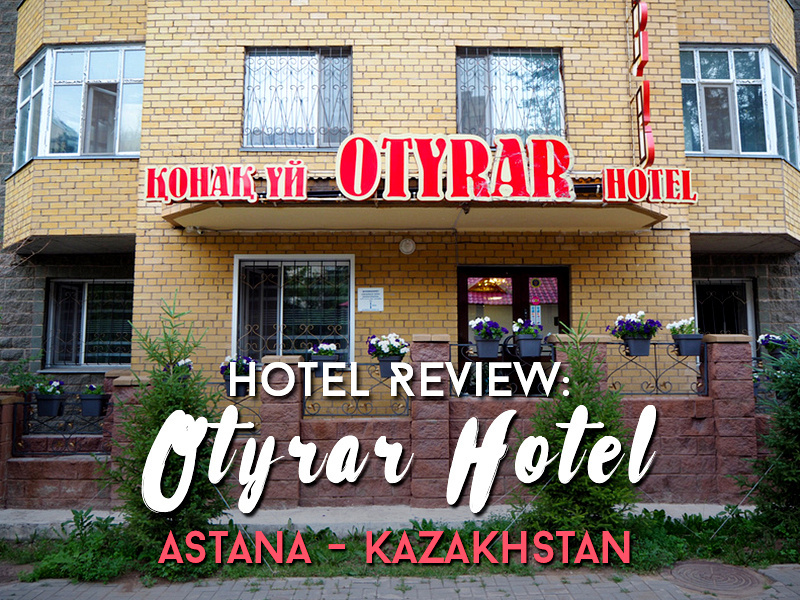 Book the Otyrar Hotel online or search for more hotels in Astana.